While you are working or have other commitments during the day, it can be difficult to make sure that your dog's needs are looked after. It's unfair on your dog to expect him or her to stay in the house for hours on end without being let out or having any stimulation. Often, that's when problems occur - destructive behaviour, chewing the furniture, barking or separation anxiety. We offer a long-established, professional dog walking service. Rain or shine, we will pick your dog up from your home and take him or her on an active walk before returning them, happy and clean and looking forward to a nice snooze before mum or dad comes back. 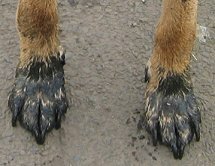 Muddy paws and dirty bellies will be towelled off, drinking water checked and re-filled. We can also feed your dog, or give routine medication if necessary. The safety of your pet is paramount. We are very careful about the areas where our dogs are walked so you'll never find us unloading dogs on busy roads next to the Town Moor. We prefer quieter and safer locations. We NEVER leave dogs unattended in our van while others are walked. Your dog will be gradually introduced to sociable friends. We walk all dogs on their lead unless owners give express permission for off-leash exercise and we are confident with your dog's recall. TynePets' dog walkers are fully insured. All dogs must have up to date vaccinations and we will ask to see confirmation. Immunisation against kennel cough is strongly recommended. It's sometimes difficult to choose the best person to walk your dog. We offer a free consultation to help you make this decision. We will visit you and your pet to determine their walking and training needs and walk your dog with ours to make our assessment. We will then gradually introduce him or her to our usual walking dogs. We encourage clients to accompany us on a typical walk to determine whether it suits the exercise and training needs of your pet. Most walks are accompanied by two people. Getting a new puppy is very exciting but leaving your little bundle of joy all day while you go to work isn't fair. To housetrain your little pooch he will need regular trips outside with lots of praise and encouragement. His little tummy will need topping up with small amounts frequently. 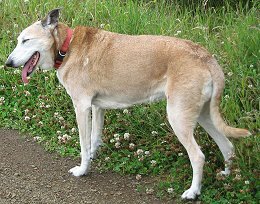 He is also at an impressionable age and to become a happy, well-adjusted and sociable dog it's important to meet new people and experience new things in a loving and safe environment. Once he's vaccinated and your puppy is able to face the big wide world he can take short walks and begin to meet other well-behaved dogs who are happy to be a pet nanny. We may even be able to arrange playdates if we have other puppies at a similar stage. If we visit your puppy several times a week, we can also introduce training and basic commands.